Not sure when ClipMyHorse started, but I feel like I've been with them since the beginnings (when they only covered German competitions). team dressage rider Karen Pavicic will ride for from now. Did not see that coming, but definitely an interesting prospect for us! In other news, Sabine Schut-Kerry & Sanceo made an impressive international big tour debut last week. One to note for the WEG selection. Interesting. Qualifying will be relatively harder for her, but being chosen by the nation will be a lot easier. Is she currently Croatia's best dressage rider? Yeah, her experience is just by far greater than what anyone has here. More about the switch can be read here. Thanks. I'm not surprised, our equestrian federation is relatively underfunded to the talent we have (most riders are rich anyway so they feel they can afford it). Croatia is in Group B correct? (why does FEI still refer to them by A-G while the main site has groups I-IX) There's a few good nations in that group, but if 3 or more qualify to the team event things start to open up for the individual quota. I also think it's ridiculous that the team events will have 3 events. Eventing might as well be a lottery. It should be 12 teams of 4 (15 for jumping) plus individual quotas. Croatia is in the Group C, rather. Group C is basically everything behind the "iron curtain" + Greece/Turkey. Eventing will have its technical XC level reduced from 4* to 3*, so it should be somewhat easier to get around, while the time will have its influence of course. 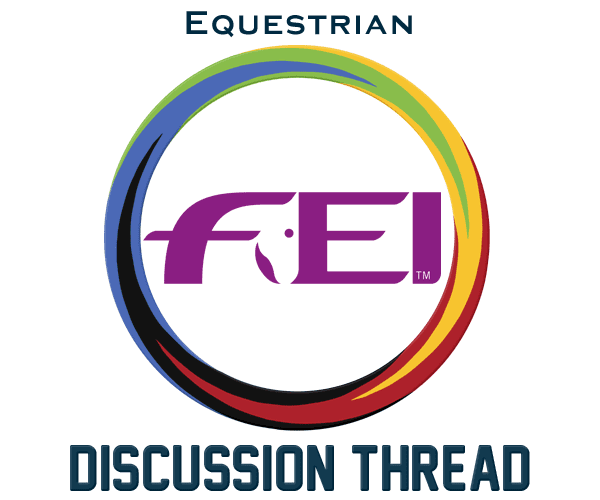 Olympic format - 4* dressage, 3* XC, 4* jumping - will be used at WEG for the first time (with 4-member teams though), however WEG should still give some insight. European championships have always been on 3* level for example, so it's not getting terribly easier either. Group C makes things a bit easier. Russia/Ukraine will get the team quota, after that there isn't too much competition. Ellesse Tzinberg scores 66.000% in Wellington. Exactly enough to become the first Philippines dressage rider to qualify for WEG.